The Israeli police on Monday arrested a Palestinian citizen in Shu'fat refugee camp in Occupied Jerusalem. The Hebrew website "0404" reported that a Palestinian young man accused of throwing a Molotov cocktail at an Israeli police force was arrested in Jerusalem. A number of Palestinian youths hurled stones at the Israeli police as they were taking the young man away for interrogation, the website said. No injuries were reported. The Israeli police on Monday morning stormed Shu'fat camp and raided and searched Palestinian homes. They later withdrew from the area after arresting a Palestinian whose identity has not been known yet. Israeli military courts extended on Monday the detention of the brothers of the slain anti-occupation attacker Saleh Barghouthi. Salah’s brother Assef got his remand extended by the Ofer Court for another 48 hours. A hearing held for Saleh’s brother Mohamed at al-Mascoubiya detention center also culminated in a verdict to extend the latter’s remand for another four days pending intensive investigation. On Sunday, the Israeli occupation authorities sentenced the detainee’s father Omar to a three-month administrative prison term, with neither charge nor trial. Assef and his father were kidnapped by the Israeli occupation forces on December 12, 2018, following the assassination of Saleh by the Israeli military, over allegations that he had carried out an anti-occupation attack. Mohamed was arrested on January 5. The Israeli occupation forces on Sunday evening arrested the mother of the dead Palestinian prisoner Ashraf Abu Dhari’, from Beit Uwa town, west of Dura, in al-Khalil. According to local sources, the 60-year-old mother was arrested on her way back home at a military checkpoint set up at the main entrance to Deir Samet village. Human rights groups continue to raise alarm bells over the dire conditions endured by Palestinian detainees in Israeli occupation prisons, at a time when a tide of freezing temperatures has overwhelmed the Middle East. 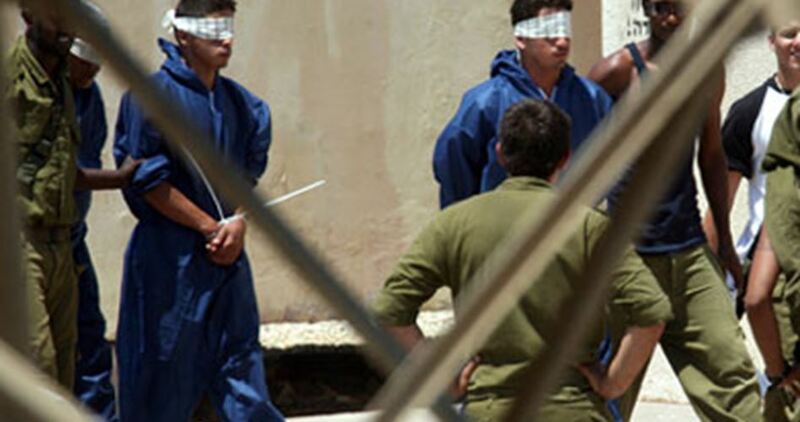 Researcher Reyad al-Ashkar, from the Palestine Prisoners Center for Studies, said the swift drop in temperatures has had tragic upshots on the detainees, particularly those held in the Negev desert jail. Affidavits by prisoners and ex-prisoners provided shocking evidence about the endless suffering Palestinian detainees have been going through in Israeli prisons with the advent of winter season owing to the lack of winter garments, mattresses, and heating kit. 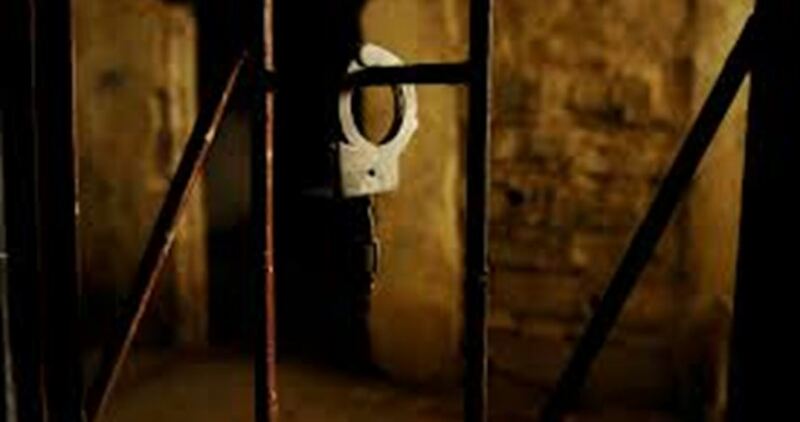 Al-Ashkar said the detainees have been wearing light garments and that the prison authorities have been denying them access to winter clothes and garments. As a result, several prisoners have caught life-threatening diseases. He called on the international human rights institutions, namely the Red Cross, to pay urgent visits to the detainees so as to keep tabs on their calamitous condition and take serious measures to protect them. Rights groups continue to warn of the tragic conditions wrought on Palestinians in Israeli occupation jails due to the poor hygiene and propagation of bacteria owing to the intense humidity and lack of exposure to sunbeams. Nearly 7,000 Palestinian detainees are incarcerated in Israeli prisons, among them women and children. A number of Palestinians were arrested by the Israeli occupation forces (IOF) at daybreak Monday in abduction sweeps rocking the West Bank. 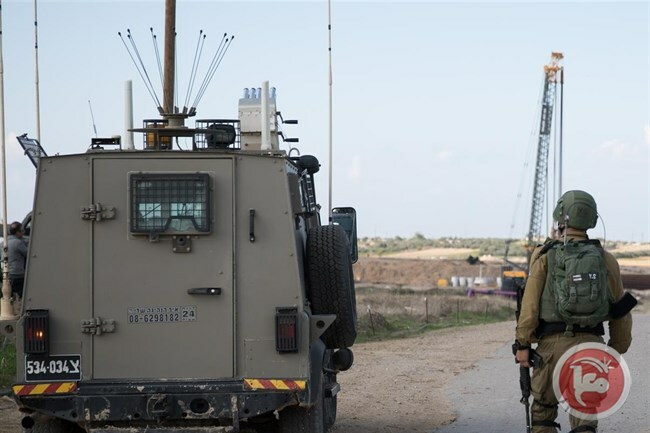 The Israeli military claimed responsibility for the abduction of nine Palestinians overnight over allegations of involvement in anti-occupation activities. The campaign targeted Palestinian young men from Bethlehem, al-Khalil, and Ramallah. 38-year-old Palestinian ex-prisoner Rami Fadayel was kidnapped by the IOF from his family home in al-Tira neighborhood, in Ramallah. He has spent a total of eight years in Israeli jails. Israeli patrols wreaked havoc on civilian homes in Ramallah and al-Khalil and subjected the residents to exhaustive questioning. 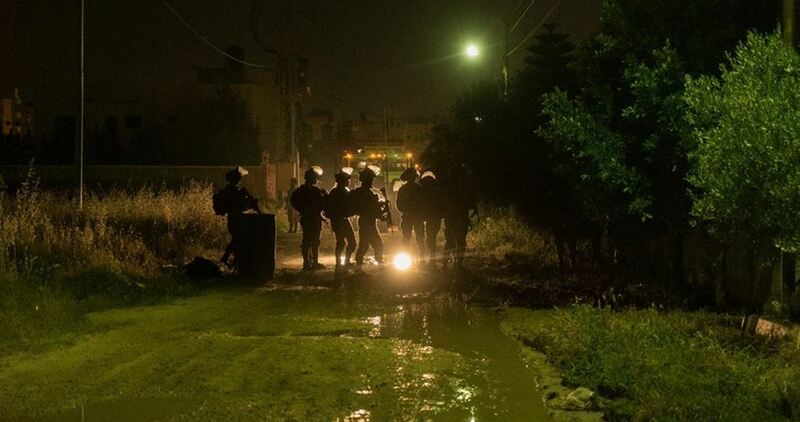 At the same time, the occupation forces ravaged the home of the slain Palestinian youth Husain Abu Ghush in Qalandiya refugee Camp, north of occupied Jerusalem. Meanwhile, full-armed Israeli soldiers rolled into Jenin’s southern town of Qabatiya and broke into the family homes of a number of anti-occupation activists affiliated with Hamas Movement. Clashes burst out in the area. The IOF further stormed the home of the Palestinian writer Thamer Saba’na, aged 42, and subjected him to intensive questioning. Palestinian prisoner Muamar Sabah, from Jenin, has been locked up behind Israeli prison bars for 17 years running. Head of the Palestinian Prisoners Society in Jenin, Muntasar Samour, said Muamar, sentenced to 23 years in Israeli occupation dungeons, has been denied the right to family visits. Samour said the visit ban makes part of preplanned torture tactics pursued by the Israeli prison authorities against Palestinian detainees. The health condition of Prisoner Muamar has also taken a turn for the worse due to life-threatening disorders infecting his kidney. He is currently incarcerated in the Israeli Negev desert jail. Israeli forces detained a Palestinian for allegedly opening fire towards an Israeli military base near the illegal Israeli settlement of Maale Adumim, east of Jerusalem. Hebrew-language news outlets reported that Israeli forces detained a Palestinian, whose identity remained unknown, from Abu Dis village in the central West Bank district of Jerusalem, for allegedly opening fire at an Israeli military base. No injuries nor damages were reported. The Israeli occupation forces (IOF) on Sunday evening arrested a Palestinian youth at a military checkpoint near Jenin city. Local sources told the PIC that the IOF installed a military checkpoint at the entrance to Deir Abu Da'if village, stopped Palestinian vehicles, and scrutinized the passengers' IDs. They said that the IOF ordered a vehicle to stop, searched it, arrested one of the passengers, and transferred him to an undeclared destination. Dozens of Palestinians demonstrated on Sunday at an Israeli military checkpoint in al-Khalil to demand the release of prisoners in need for urgent medical treatment. 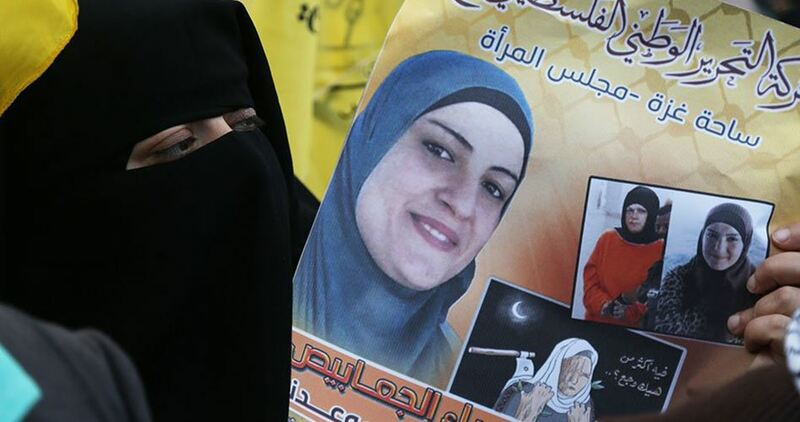 The demonstrators particularly called for the release of Sami Abu Dayyak, who is suffering from cancer, and Israa Ja'abis, who has been injured since her arrest in 2015. They raised portraits of the Palestinian prisoners and chanted slogans calling for ending their suffering. Al-Barghouti's family have been subjected to collective punishment since the killing of Saleh. Most of the family members are currently held in Israeli jails, including al-Barghouti's sons Asem, Asef, and Mohammed. The Israeli occupation forces at daybreak Sunday wreaked havoc on two Palestinian storerooms in Arana village, east of Jenin. Local sources said Israeli troops raided Arana village at the crack of dawn and smashed equipment, including a tract and agricultural kit, inside two Palestinian stores. The two storerooms reportedly belong to the two Palestinian brothers Rabi’ and Ahmad al-Umari, both held in Israeli occupation jails. 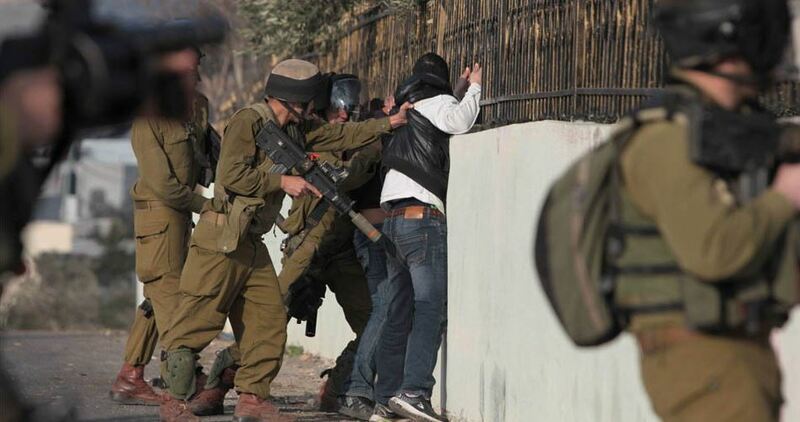 The Israeli occupation forces (IOF) have kidnapped nine Palestinian citizens during campaigns in different West Bank areas. 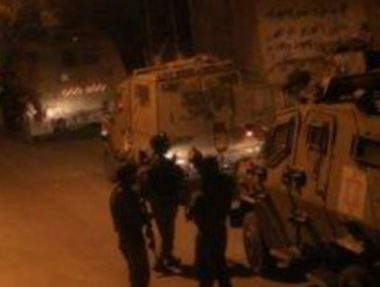 A statement released by the Israeli army said that seven wanted Palestinians were taken prisoners in raids on West Bank areas. 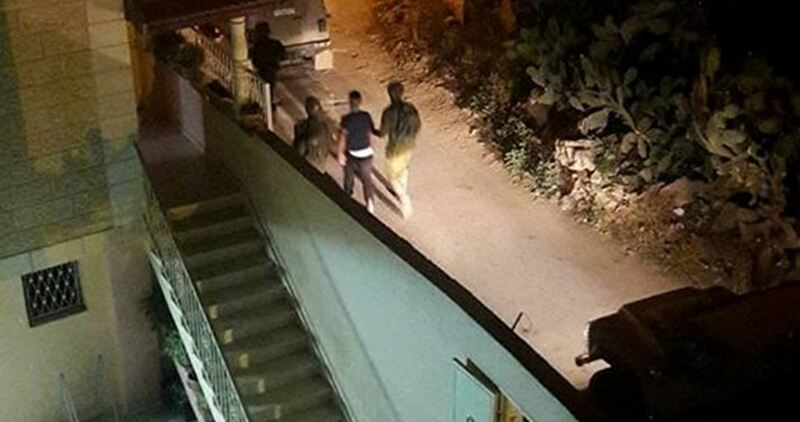 According to the Palestinian Prisoner Society, five Palestinian citizens were kidnapped at dawn Sunday by the IOF in al-Khalil province. Two others identified as Ahmed Abu Daji and Muwafaq Zaytoun were also kidnapped from their homes in Tulkarem province. The IOF also stormed areas in Tulkarem and Qalqilya and kidnapped two citizens, including a 16-year-old boy identified as Uday al-Ammour. Israeli soldiers abducted, on Sunday at dawn, six Palestinians, including one child, from the West Bank governorates of Bethlehem, Hebron and Qalqilia, the Palestinian Prisoners’ Society (PPS) has confirmed. 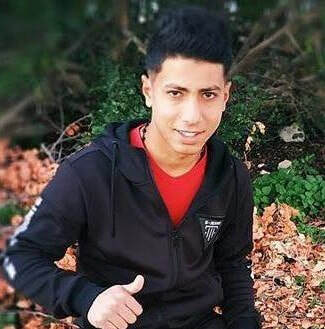 In Bethlehem, south of occupied Jerusalem, the soldiers invaded Teqoua’ town, southeast of the city, searched homes and abducted a child, identified as Odai Mahmoud al-‘Amor, 16. 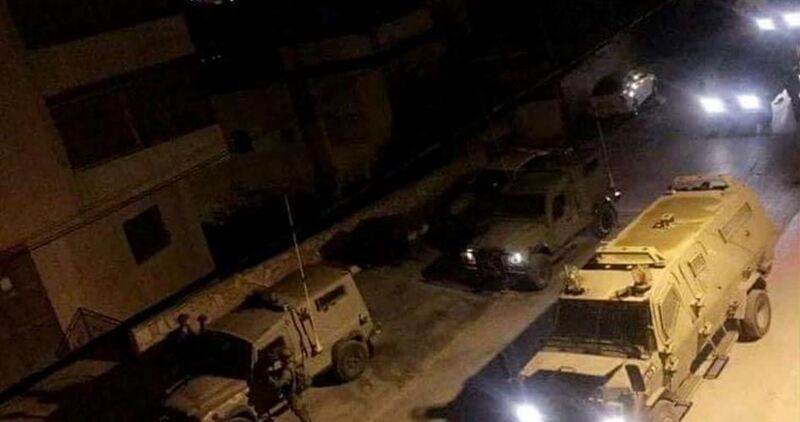 The Hebron office of the PPS, in southern West Bank, said the soldiers invaded and ransacked many homes in the city, in addition to Beit Ummar and Kharas town, north and west of Hebron. It stated that the soldiers abducted Odai Eyad Za’aqeeq, and his brother Khalil, in addition to Qoteiba Nader al-‘Allami, from Beit Ummar town, north of Hebron. 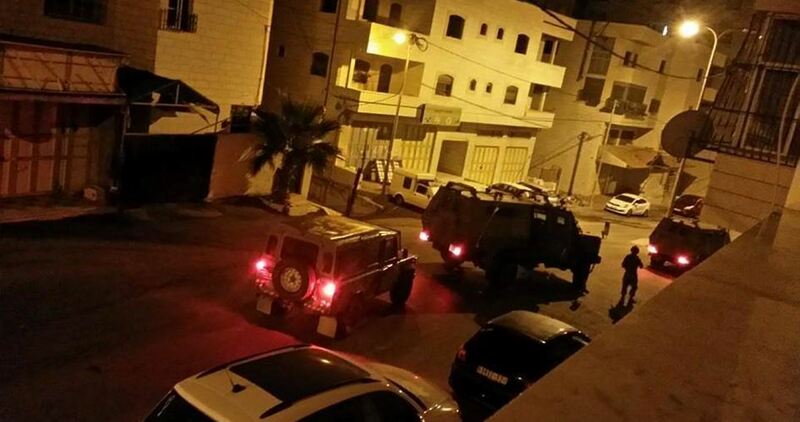 The soldiers also abducted Sa’id Halahla, from his home in Kharas town, east of Hebron. In addition, the army installed many roadblocks in and around the Old City of Hebron, in addition to the southern parts of the city, and at its eastern entrance in Beit Einoun, before stopping and searching dozens of cars. The soldiers also installed roadblocks on roads leading to several villages and towns, south of Hebron, before stopping and searching dozens of cars. In Qalqilia, in northern West Bank, the soldiers abducted Islam Abdul-Rauf Nazzal, 26, from his home in the city, after breaking into it and violently searching it. 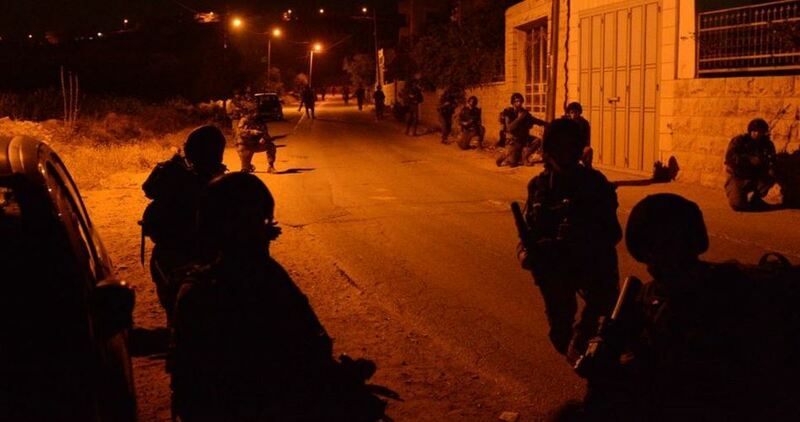 The Israeli occupation forces (IOF) at dawn Saturday raided homes, kidnapped Palestinian citizens and handed others summonses for interrogation from the Shin Bet. Local sources said that the IOF stormed the villages of Kafr Ni'ma and Bil'in, west of Ramallah, and kidnapped four Palestinian young men. During the IOF campaigns in Bil’in, soldiers fired stun grenades on homes, which set a house belonging to the family of Abu Rahma on fire. The IOF also kidnapped a young man identified as Ahmed al-Badawi after ransacking his home in as-Salam neighborhood in Tulkarem city. Two citizens from the families of al-Zama’ra and Melhem reportedly received summonses from the Shin Bet during IOF raids on homes in Halhul city, south of the West Bank. 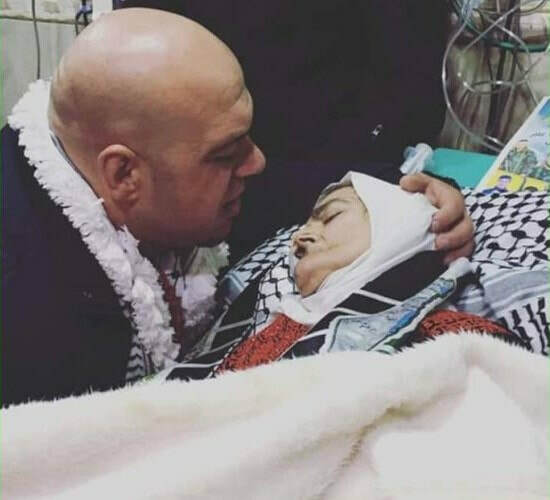 The mother of Kamel al-Khatib, a newly released prisoner, passed away on Friday evening, only one day after he was released from an Israeli jail. 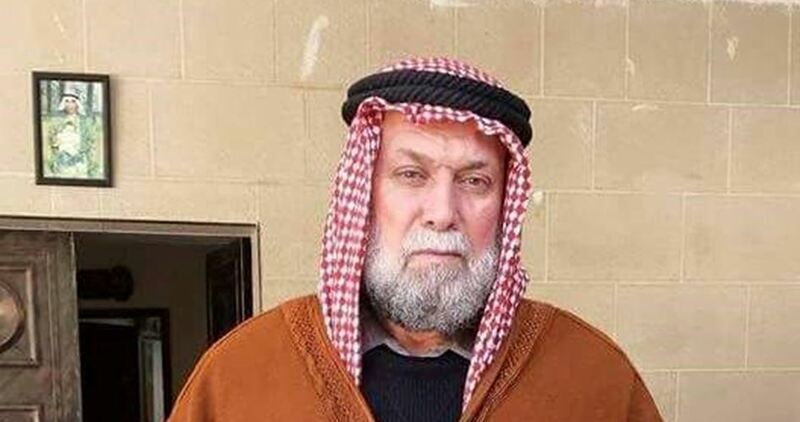 The Palestinian Commission of Detainees’ and Ex-Detainees’ Affairs mourned the death of al-Khatib’s mother, from Balata refugee camp in Nablus. 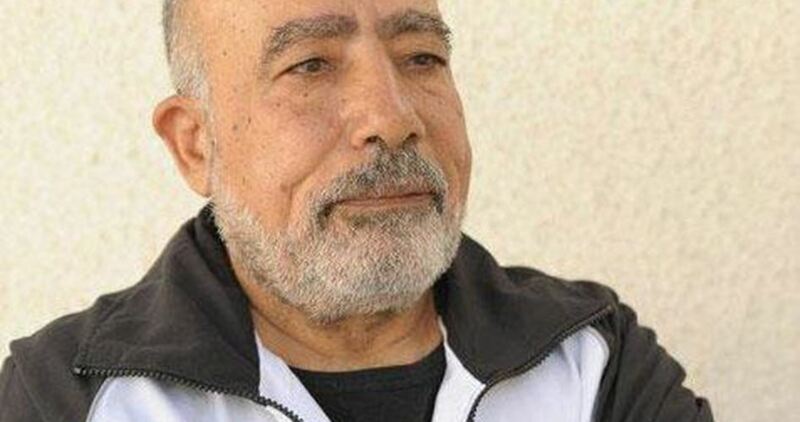 The Israeli occupation authority released Kamel al-Khatib on Thursday evening from the Negev jail after he spent 16 years in detention. 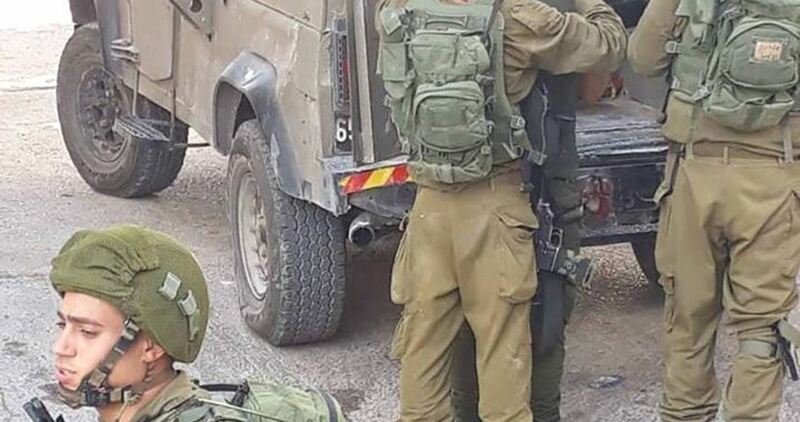 Israeli soldiers abducted, earlier Saturday, four young Palestinian men from their homes in Arrana village, northeast of Jenin. The Jenin office of the Palestinian Prisoners Society (PPS) has reported that the soldiers invaded and ransacked several homes in the village and interrogated many Palestinians while inspecting their ID cards. The PPS said the soldiers abducted four siblings, identified as Abdullah and his brother Mohammad Walid Abu Hanana, in addition to Rabea’ and his brother Ahmad Taiseer al-‘Omari. The soldiers causing excessive damage to the furniture and belongings of the invaded homes, especially the property of Abu Hanana family, as most of their furniture was completely destroyed.